Due to health concerns, many households buy bottled water instead of drinking from the tap. They may pay a one time fee for the dispenser and refill the bottles as needed. Dispensers require very little maintenance. All you have to do is spend a few minutes cleaning it every 3 to 4 months before replacing the bottle. Unplug the cooler and remove the empty bottle. Drain all the water in the reservoir via the cold-water faucet. Fill the reservoir using tap water (approximately 1 gallon). Mix 1 tsp. bleach in 1 cup of tap water. Add mixture to the water already in the reservoir. Scrub the inside of the reservoir with a small brush and let stand for 5 minutes. Drain the water once again through the cold water faucet. Using a clean cloth, wipe dry the reservoir. 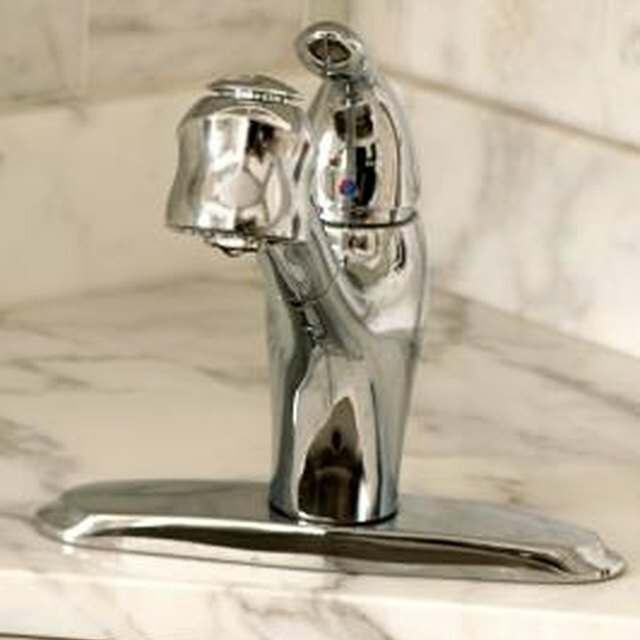 Fill the reservoir with clean tap water once again and drain using the cold-water faucet. This should rinse off any bleach residue. Place a new bottle on the dispenser and plug in the unit. You're now ready to enjoy clean fresh water from your dispenser. Dispensers normally have a drip tray to catch spills. To empty it, remove it from the dispenser and wash it with mild soap and water. Rinse it and put it back in place. Do this monthly. Always remember to wipe a new bottle's neck before placing it on the dispenser. Don't spray chemicals on the dispenser or nearby.